I've picked out a few horses for today and will be attempting to increase my punting war chest for Cheltenham. First things first though, if you're backing each way in the Imperial Cup then make sure your bookie is paying 5 places. Most, but not all, are so there's no excuse not to take advantage of this excellent concession. A mares only NH flat race isn't normally a race I'd get involved in but Paul Nicholls' LIFEBOAT MONA has beaten a lot of these already in rattling up a hat-trick and seems over priced to me at 11/1. The main danger looks to be the Gordon Elliot raider Whistle Dixie but I think the value lies in having a small each way bet on the top weight. At Cheltenham you simply have to have as many accounts with as many different bookmakers as you can. Yes, at the end of the day they are only interested in securing your custom for future gain but they're gonna give you some amazing short term offers in return for hopefully securing your future business. But who says you have to bet with them once you've taken their offers? No one! It takes 2 minutes to open a new account and that's time well spent. If you want to make your betting pay you simply cannot afford to bet solely with Betfair. It's so blinkered and nonsensical to bet like this that when I hear people say they only ever bet with Betfair, it's enough to make my blood boil! Yes Betfair is great but they are NOT the be all and end all of betting. Open as many accounts as you can, grab ALL the offers they're giving, make money and then, well, do what you like. Even go back to Betfair (sobs). As the new Cheltenham offers and specials are coming in I'm updating my Specials Page. I have been researching this book for nearly a month now. It's 80 pages long and contains everything you need to make Cheltenham a profitable meeting this year. Stats, facts, figures, trends, systems, dark horses for the handicaps and antepost tips. His record at Cheltenham over the last 5 years is second to none and these 4 horses are the most eagerly awaited tips of the year. He was patiently waiting for the handicap declarations to be made before finalising his selections and I can proudly announce they are ready for download now. Just £9.99 will get you all 4 ante post tips plus his daily selections for the 4 days of the festival AND as a special Bonus he's also included his 3 outsiders for the Grand National! My 50% offer throughout February was a big success but a couple of readers have emailed to say they missed the boat and would I repeat the offer. 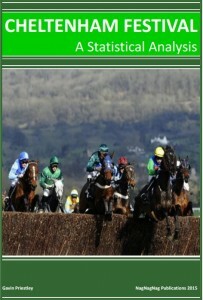 And remember ALL membership options come with a FREE PDF copy of my Cheltenham Festival Stats Book. If you prefer working out the winners yourself and enjoy the challenge of solving 27 of the most competitive races run all year then what every decent punter needs is access to the best information and betting tools available. 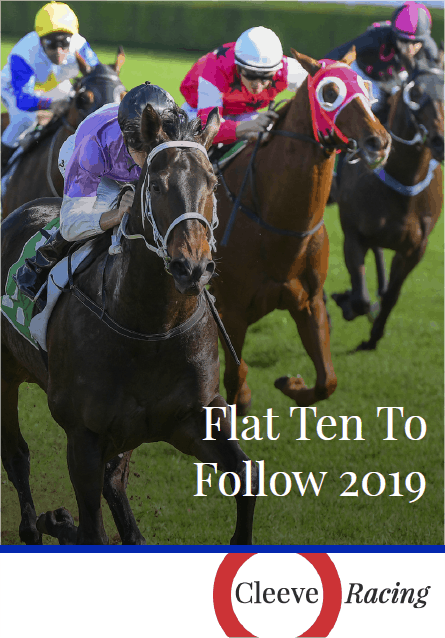 That includes having a racecard that helps you find the winner, tipping services that provide a constant stream of winners and easy form analysis that helps you break down a race. Quite simply the racecards and tools Geegeez Gold Membership offers you are so far ahead of the competition that the one dimensional Racing Post racecards or the bog standard Sporting Life version should be embarrassed by the service they provide for their customers. Probably the number 1 feature and the one service that puts the Geegeez racecards head and shoulders above the Racing Post and Sporting Life are their racecards and the race profiling tools that are accessible to subscribers. While some of the other services the Geegeez Gold membership offers you can be found in one form or another on the rival sites you won’t find anything remotely like their racecard profiling tools anywhere else on the ‘net. They are the singlemost important reason for subscribing to Geegeez and are set to revolutionize the way you approach breaking down a horse race. Until you’ve used them you just don’t realise how little the Racing Post or Sporting Life help you when working out a race. The ‘here is the race card, work it out for yourself approach’ just won’t cut it anymore. To go through all the tools would take a very long post so I’ll just concentrate on a few that I find the most useful….. Instant Expert: The best place to start! One click brings up the card with every runner’s previous form analysed to see who has the best record over the course, the distance, on the going. It’s all colour coded so you can see which runners are most likely to appreciate today’s conditions. Simple and like it says on the label – instant expert! Report Selector – where you can see the pick of the day’s trainer, jockey, and trainer/jockey combo stats (click on a line item to see the relevant runners today). The Shortlist and Best Of reports highlight the pick of the Instant Expert grids; Head 2 Head shows the race record of all horses running against old foes; Horses for Courses shows the track record for all horses that have previously run at today’s venue; and Hot Form highlights how the form has worked out for all runners today. Full Form Filter: You simply bring up the race record for any runner and then start filtering the form to see the runners record on the ground, distance, class, with today’s jockey and over the course. Filter for the flat, the jumps, AW, any race, research recent races or those from months ago. Search wins, places even just unplaced runs. The amount of time this saves me now is immeasurable – I love this feature. Pace Analysis: Instantly bring up comments for each of the runners, see who likes to race up with pace (and who doesn’t), see whether there are any front runners in the field or whether there are loads looking to run from the front. All vital clues when forming an opinion on a race and when using speed ratings. You really have to see them to really comprehend the amount of useful race-profiling tools available to you. From breeding and sales information to instantly seeing which Trainer or Jockey is in the best form, it’s all here. There are also buttons available to comment on an individual horse for that days race and you can instantly identify which horses/trainers/jockeys you are tracking. You can research head to head records between runners and once you’ve worked out the winner you can compare the odds from all the betting firms and place your bet directly with one click. It really is an incredibly indepth research tool……And don’t worry if at first you find it all a bit bewildering as there are plenty of videos available to Gold members to explain how each of the tools work and how to get the most out of them. And if it’s daily tips you require then they’ve got that covered too…..
Geegeez’s Gold Membership flagship tipping service is their Stat of the Day service which has been running daily (except Sundays) since November 2011. Since then it’s provided 263 winners from 912 selections at an enviable 29% Strike rate. Through 2014 it’s shown a profit for 7 of the 8 months and overall shows a profit of 211pts since being launched. I think you’ll agree they are pretty impressive figures that on their own would make for a stand alone subscription tipping service but the good news is the Stat of the Day feature is just a little extra gravy for your Gold Membership and is included in your monthly subscription. You've taken all the bookie offers, you've read my stats book, done the trends horses, backed Gary's tips and been using the Geegeez racecards religiously and yet still Cheltenham hasn't gone your way. I'm not sure what's gone wrong but salvation is at hand. It comes in the form of a hunter chase superhorse and is my banker of the meeting. If all else fails PAINT THE CLOUDS will win the Foxhunters on the Friday. There are quite a few people fancying Meadowcroft Boy despite him being a big price. Fingers crossed for a big run.